This is the radiating element in the system. 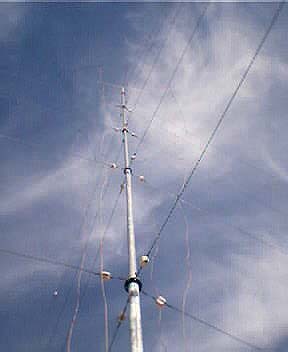 It is a telescoping TV antenna mast, lengthened to 56' (17 meters). 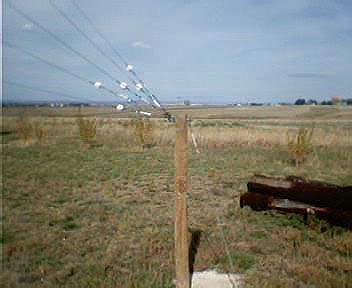 The white things are ceramic electric fence insulators. 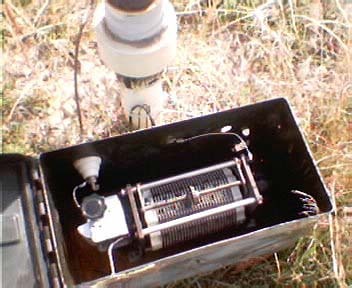 Also showing the base insulator.